Peter Warren, best-known in the Canadian broadcasting industry and to radio audiences in Manitoba as host of his long-running "Action Line" program on CJOB, travelled to many places around the world, but his 27-year tenure in Winnipeg in many ways, topped all of them. His career took him to Hong Kong, Great Britain, Mexico and the United States, and radio listeners in Calgary and Toronto may well recall his stop-overs there. From 1971 to 1998, on CJOB, Peter served as an ombudsman, an arbitrator, an antagonist and a confidant. He challenged the leaders and the newsmakers, and brought issues before the public - all the while earning their respect for his acumen and his integrity. He touched many lives - from raising $300,000 for flood victims to ensuring seniors had adequate food when the Storm of the Century hit Winnipeg. 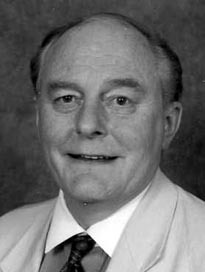 In 1999, Peter Warren was inducted into the CAB Broadcast Hall of Fame.